Keep Calm and Drink Coffee! Hello Friends, I am going to sneak in a quick post this evening just hours before this week’s Mojo Monday Sketch comes to a close. 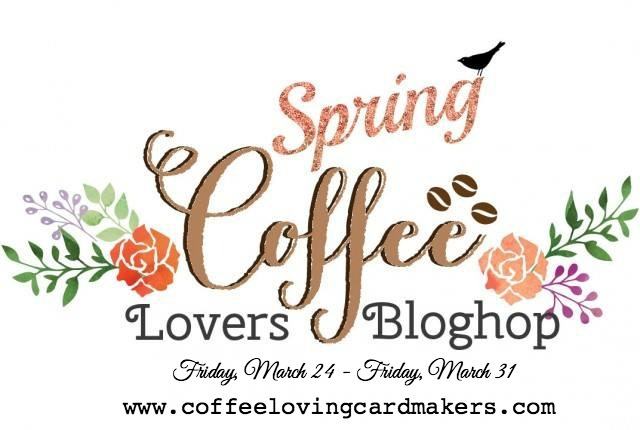 I just recently got this great Coffee stamp set and two die cuts from Verve and I couldn’t wait to use them for the Spring Coffee Lovers Blog Hop. I doubled the Coffee die for some depth and cut the sentiment in half to help stay with the sketch. Not only is this set simply awesome, but Julee the owner of Verve sent me these pieces of Designer Paper with my order too. Love them! Thanks Julee! You will be seeing another card made with these great papers very soon. This card is rather simple and I felt it needed something else, but I just decided to leave it be before I ruined it. Sometimes too much is too much! Ya know what I mean? Categories: cardmaking | Tags: Card making, Cards, coffee lovers, diecuts, rubber stamps, sketch challenge, stamping, Verve Stamps | Permalink. I really like this. Cool coffee design. 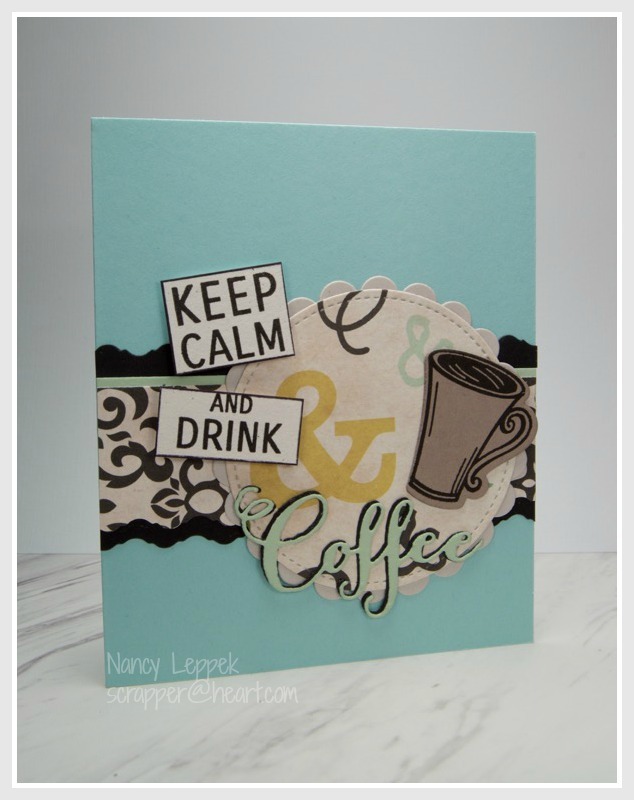 Thanks for sharing it in the Coffee Loving Card Makers Spring Blog Hop. Have a blessed week. P.S. For another fun challenge, I warmly invite you to play along with us at Word Art Wednesday. Always Anything Goes/Family Friendly and we offer fabulous prizes. Our current sponsor is ($25) to Simon Says Stamp. I hope you will join the fun! Beautiful color combo and images! This is wonderful…LOVE the colors!